Co-run by two ex-offenders, a state-funded pilot program worked last year to help recent parolees re-enter society by supporting their transition back to their families. On hold for nearly seven months after funding ran dry, the program has been renewed by the state with a two-year $95,000 grant. The Family Reunification Pilot Program created a partnership with three Syracuse agencies to find suitable living arrangements for people released on parole and to support their progress toward self-sufficiency. 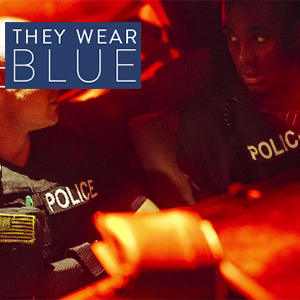 Partners included the Syracuse Housing Authority, which allowed those recently released from prison a chance to move into public housing with their families; PEACE Inc., a nonprofit agency providing case management; and the Department of Corrections and Community Supervision, which continued as parole monitors. Money for Syracuse’s pilot ran out in February of 2018, but the three agencies continued to stay in touch, and SHA oversaw at least one person’s move into public housing after being released from prison despite the funding lapse. That family was recently able to move out of their unit and into a private rental. In October, PEACE began to interview candidates to replace the pilot’s case manager position. More than 20 were interviewed and the position was given to Marrell Edwards. He was highly recommended by Rasheada Caldwell, coordinator for PEACE’s Eastside Family Resource Center. His first day was Monday, Nov. 5. “He’s an exceptional person to fill that spot because of his life experience and because of his heart,” said Caldwell, who says she has known Edwards all of her life. She said they both grew up on the city’s East Side. 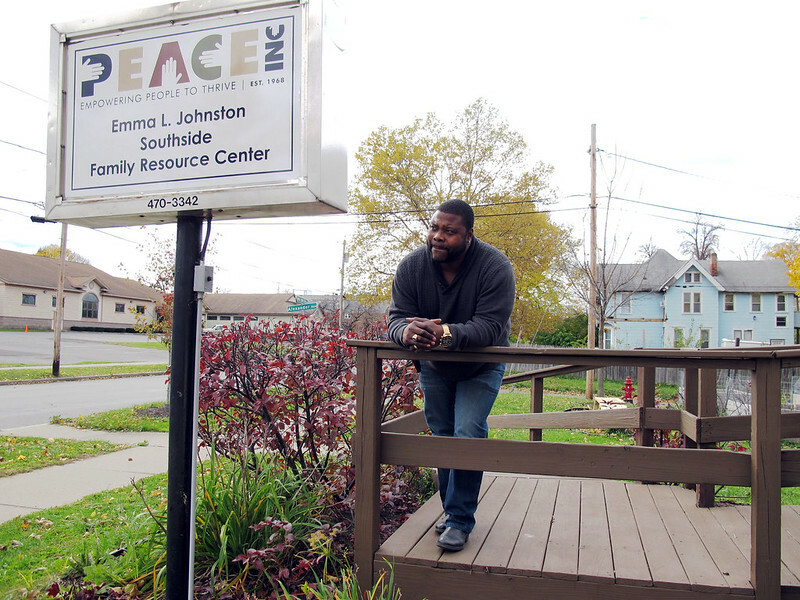 This is just the most recent success story from the partnership, says Charles Rivers, coordinator of PEACE, Inc.’s Emma L. Johnston Southside Family Resource Center. During the funding lapse, Mary Beth Welch, director of Family Services at PEACE Inc., says PEACE did not take on additional clients, but it never stopped supporting those who were a part of the pilot program. Rivers says they did this to not lose track of those enrolled and were able to track their progress. In the back of her mind, she said, she wonders if the grant funds had been renewed sooner and the case manager role hadn’t vanished, maybe that number could have been lower. Former case manager Karen Loftin had to leave PEACE when grant funds depleted last February and her role was suspended. She took on a new full-time position in May. “I wish I could have waited, but it wasn’t a sure thing that it was going to be renewed,” said Loftin, who noted that financially she couldn’t continue to wait. She needed an income. Welch says the grant has been renewed for two years and the language has not changed. The grant is for $95,000 each year, totaling $190,000 over two years. Grant participants still must move into public housing, and the goal is to enroll a total of 12 individuals each year. Loftin is bothered to hear the wording of the grant was not changed in the renewal, noting that implies there was nothing to learn from the pilot. Her biggest suggestion at the conclusion of the pilot was to expand the grant to include options for clients to move into Section 8 housing. One adjustment Welch noted is adding a goal of five clients for non-public housing, basing this change on the numbers from last year. This target will be evaluated and adjusted each quarter based on progress, and was added because of the need seen from the pilot year, Welch noted. Loftin advises the new case manager to not view this role as typical social work. Both Loftin and Rivers have long histories on the South Side, have been incarcerated and completed parole. Welch believed Loftin’s past, combined with her educational degree, made her uniquely qualified to connect with grant participants. Welch sees all these qualities, and more, in Marrell Edwards, the newly hired case manager. She credits his ability to work with substance abusers from his training as a credentialed alcohol and substance abuse counselor trainee. Welch also sees his potential from his time working at Syracuse Behavioral Healthcare, now known as Helio Health. The next steps for Edwards is to resume regular meetings with partners, meet with current participants and recruit new ones into the program. 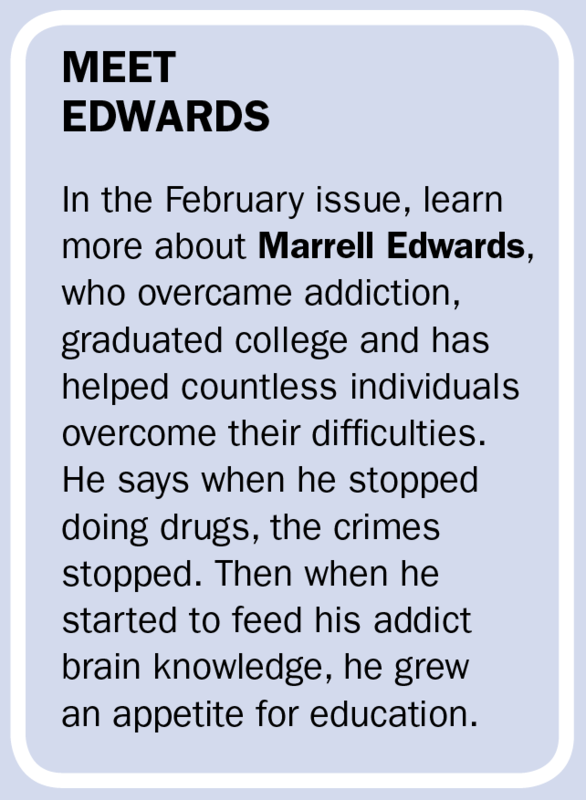 Knowledge of such struggles is still fresh for Edwards, who was a drug addict for 18 years and spent time in and out of prison for crimes committed as an addict. Now 49 and sober for nearly 13 years, Edwards has a passion to help others because he has been where they are. He recognizes that garnering small victories can help such individuals progress.